The iPhone Dev Team has released Redsn0w 0.9.8b5 to jailbreak iOS 5 beta 5, the jailbreak is intended only for developers who want to assure their Cydia apps work fine in the newest iOS beta, and neither iOS 5 beta or this version of redsn0w are intended for widespread consumption. Supported hardware includes iPhone 3GS, iPhone 4, iPod touch 3rd and 4th gen, and iPad 1. 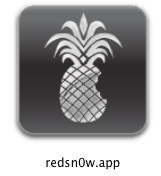 Point redsn0w directly at the beta 5 IPSW file and proceed with everything else as usual. Understand the difference between a tethered vs untethered jailbreak, but in short you will need to connect your iOS hardware to a computer upon every reboot of the device. There are also various reports of quirkiness when attempting to SSH into the iOS device, iBooks and other apps may crash, some Cydia apps cause Springboard to refresh, and there is other behavior that is characteristic of an unfinished beta release, further emphasizing this is not yet ready for widespread adoption.